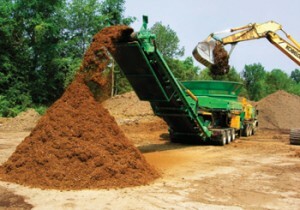 Commercial land clearing and grubbing operations produce a huge amount of raw materials. To make the most of these materials and to fully use the natural resources, JK Enterprise provides on-site and off site grinding and brush disposal. The process of land clearing may involve the cutting or pushover of huge stands of trees. The resulting timber can be a headache for site managers, who need the material removed quickly and efficiently. JK Enterprise can help with our commercial stump and brush grinding services. Depending on the location, size of site, type and quantity of material, we may grind on site, or remove the material for off site processing. For some sites, we will deploy one of our many large volume tub grinders, which can be used to process timber and brush right on site. After grinding, the materials can be easily taken off site for the proper recycling or re-purposing. 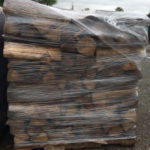 Because JK Enterprise has the equipment and experience on hand, when companies are looking for commercial stump and brush grinding, JK Enterprise is the first and last call made. If you need commercial site work, please call to discuss your needs with one of our commercial specialists. We’re standing by and ready to come on site.